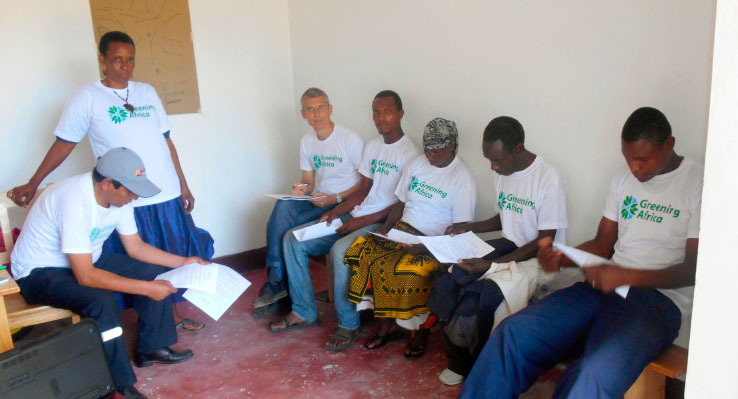 Our team in Tanzania consists of several facilitators and expert farmers from the two villages. The team is coordinated and oriented by the Peruvian expert farmer Toribio Huillca Yabar. Willem van Immerzeel (President), also president of the NGO Pachamama Raymi. Senkondo Gaspar Mgalla (Secretary). Senkondo is also Director of the Tanzanian NGO FIDE. Neil Gordon Carey (Treasurer), an Australian farmer, now working with the NGO “So They Can” in Tanzania.